What are Found Footage Films? Distinguished from traditional narrative shot feature films, found footage films are intentionally filmed in a manner that lacks the finesse, choreography, refined editing, and polished dialog in most feature films. Found Footage Films are said to be filmed in the Found Footage Genre. Horror films within the found footage genre are called Found Footage Horror. What is a Narrative Film? A narrative film is a feature length movie, short, or webseries comprised primarily of footage captured from off-stage/set camera sources. The cameras used to shoot a narrative film are not considered as part of the “universe” in which the film is being shot. Since the cameras in a narrative film are not considered to be part of the film itself, directors have the freedom to place the camera in a location that best tells the story. Directors shooting a found footage film are confined to the camera sources defined within the context of the story. Narrative films makeup the vast majority of all feature films. What is a Hybrid Found Footage Film? Background music or sound design with No Logical Source – Background/incidental music added to a found footage film with no source within the film itself. Exceptions to this rule include cases where the found footage is subsequently edited by a character in the film or a character mentioned in the film. For example, a mockumentary using found footage has a logical reason for overlaying background music as the final product is needed to create a broadcast ready film. There are also cases where characters in the film edit their own found footage as part of the film itself. Inclusion of the camera user interface graphics on the recorded video – A video camera user interface that is visible through the camera viewfinder or LCD screen is only visible to the person holding the camera, but these graphics (e.g. battery level, viewing area border, etc.) do not record as part of the found footage. Exceptions to this rule include time-stamps, onscreen messaging (e.g. “Bedroom Camera #1”) that are sometimes included on surveillance cameras, and specific cases where a live video camera feed is ported to an external recording device (e.g. surveillance camera feeding to a VCR). Many found footage film fans do not consider hybrid found footage films as part of the found footage genre. Our found footage film database is comprised primarily of pure found footage films. Filmmaker Adrian Tofei in Romania authored a Found Footage Manifesto providing his definition of the found footage film genre. Wikipedia definition of Found Footage. Found Footage Films consist of a unique set of attributes that differentiates the genre from standard narrative shot films. Here we will take a closer look at the attributes that define a typical found footage film and explore what makes this genre unique. Found footage films are typically produced on a very low budget. It’s not uncommon to come across a found footage film with a budget ranging from $500 to $15,000, whereas the typical Hollywood backed feature length film may have a budget ranging from $5,000,000 to $50,000,000. While a limited budget typically imposes significant limitations on the production of a narrative shot film, in the case of found footage films a limited budget often forces creativity and ingenuity to overcome challenges with severely limited resources. In fact, there are many instances where filming on a limited budget actually benefits the end product. The vast majority of found footage films cast unknown actors. In many instances, found footage film filmmakers where multiple hats, directing, writing, and starting in the their own film. In a good number of found footage films, the director and writer cast their friends and relatives in lead and supporting roles.These casting decisions are most assuredly related to the limited budget required to secure seasoned actors. While casting unknown actors poses its own set of challenges, the use of unknowns is a strong benefit to found footage films. A key selling point that impacts the realism of a found footage film is convincing the viewer that this film can actually be found footage from some documented event. The minute a known actor is cast in a found footage film, the illusion is broken when the viewer realizes that the actor is someone he or she recognizes from another movie or television show. As such, casting unknown actors actually provides a net benefit to found footage films and should not be considered a deficit resulting from budgetary constraints. Another commonality among most found footage films is the relatively small cast. It’s not uncommon for a found footage film to have a total cast of less than ten people, whereas an equivalent Hollywood feature length film may have ten times or more cast members. While budget most assuredly plays into the decision to limit the cast size, many found footage films are produced by individuals with limited training and experience in film-making – which would make managing a large cast rather challenging for the novice filmmaker. found footage filmmakers work around the cast size limitation by constructing plots involving a small group of individuals in a remote or sparsely populated location. The vast majority of found footage films take place in a house, abandoned building, forest, or vehicle. A fair number of found footage films are made using private residences of the director, writer, and cast. Using a small cast has added benefits that plays into the perceived authenticity of a found footage film. A common plot trope employed in found footage films is that the situation that results in the capture of the found footage is unknown to the world at large. It’s only after the found footage is discovered that the truth is revealed. As such, the less people that know about the “event” (i.e. the smaller the cast), the greater the authenticity of the film. A smaller cast size is better suited to the common plot trope where a small group of individuals are filming their experience in a secluded forest, cave, house, or abandoned hospital, to name a few commonly used locations. As mentioned in the previous section, many found footage filmmakers elect to use the private residences of the cast and crew for filming. This decision is most likely impacted by budget, as using commercial or public locations often require local town/city licensure and paying fees to the property owners – which can result in significant legal, use, and liability insurance costs. The use of a private residence circumvents many of these issues. found footage filmmakers typically use remote/secluded locations for outdoor scenes, usually a forest or public park. Outdoor scenes that must be filmed in a populated commercial or residential area are usually shot late at night to avoid encountering other people, which would invariably increase the cast size and reduce the perceived found footage authenticity. Additionally, filming at night justifies the use of a smaller cast as the viewer does not expect to see other people, avoiding the need to employ extras. At first glance, one may think that the lack of a formal film studio with lighting, booms, and all the other typical accouterments of a Hollywood set might detract from a found footage film, but this limitation often strengthens the film’s realism. found footage films are designed to present as actual recovered found footage – as such, the filming equipment and lighting should be limited to the resources available to the characters. The absolute worst thing a filmmaker can do to destroy the realism of a found footage film is to insert a narrative filmed scene in an otherwise pure Found Footage experience. 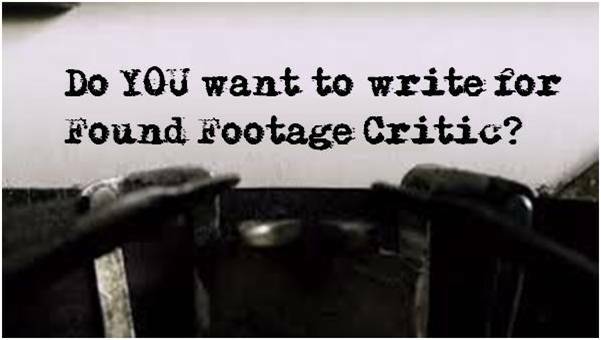 While most found footage films are fully scripted, there are many instances where found footage films are not shot with a formal line-by-line movie script, but rather a rough outline of each scene serving as a guide for the direction of the film. Once again, budgetary constraints in concert with a compressed schedule usually account for the decision or inability to put together a formal script. Improving a manageable percentage of the dialog requires a good deal of improvisation, but may actually produce superior results where untrained actors are used. Untrained cast may come across as more natural by improvising scenes rather than trying to consciously act through a predefined script, which can come across as plastic. Again, keep in mind that the end product is intended to be found footage, not a well refined and edited Hollywood film. Mistakes and improvisation can actually increase the authentic feel of a found footage film, whereas a well thought-out, flawlessly executed block of dialog can feel out of place – found footage filming is all about spontaneity and all the flaws that come with it. One word: “budget.” Most found footage films are not shot with the state-of-the-art equipment commonplace to the typical Hollywood feature film. That said, the ever increasing availability of many professional quality camera features making their way into consumer priced cameras is slowly offsetting this gap. The resolution of today’s smart phone cameras is superior to the video equipment used for film and television ten years ago. In some cases the actor who is supposed to be filming with his or her smart phone or camcorder is actually holding a professional grade camera. For found footage films with larger budgets, professional cameramen often do most if not all of the filming. To solve this dilemma on a limited budget found footage film, it’s not uncommon for the director to also star in the film as the key cinematographer. This approach saves time and money as the director can shoot a film without having to give direction (and pay for) a trained cinematographer, and also saves money by reducing the cast size by one person. There are many of instances in found footage movies where the cast must wield the camera due to the nature of the film. In these instances, the actors are provided with basic training on how to operate the professional camera prior to filming, or professional cameramen are used. In cases where the actors are supposed to be laypeople filming an event with their personal camcorder or smart phone, the lack of professional filming experience and lack of professional equipment actually benefits the end product. As stated earlier, found footage films are intended to present as actual recovered footage – the lack of professional finesse and lack of staged choreography will only benefit the final cut. Soundtracks have no rightful place in a true found footage film. Budget aside, the inclusion of background music in a found footage film can only hurt the final product, reducing the perceived authenticity of the film. To further the illusion, many found footage filmmakers have also gone so far as to eliminate any music in the opening and closing credits as well. The only exceptions to this rule are cases where one of the characters in the film edits the footage and adds a soundtrack before the film is “lost”, and a second exception are cases where a third party who discovers the found footage edits the raw footage, adding a soundtrack before presenting the final product to the general public. In an effort to maximize the perceived realism of a found footage film, many directors opt to exclude the distributor and studio logos and film title that traditionally appears at the opening of a film. Further, in many cases, the end credits are also removed. This strategy is used to immerse viewers in the faux reality of the film. However, since distribution companies require their branded logo at the start of a film, this fully immersive approach can only be applied to independent films in which the filmmaker is self-distributing. If a found footage film does have any form of budget, this is where it needs to be spent. found footage films are usually about paranormal events, alien encounters, monsters, and violent crimes – all of which require decent special effects to keep things believable. Unlike Hollywood feature length films, the “money shots” are typically fleeting glances, off-center blurs, distantly shot, and most always occur in poor lighting. Due to budgetary limitations, found footage filmmakers often employ practical effects rather than CGI, which tends to lend some grittiness to the film that, in this author’s opinion, actually benefits the final product. found footage films are a very different breed of film than the traditional narrative shot films we are all familiar with. One would think that all of the factors described above are limitations imposed on found footage films that lower their quality and effectiveness. 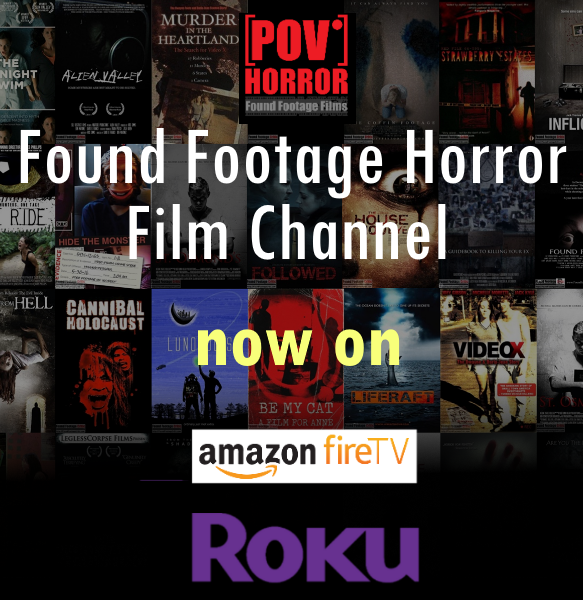 In actuality, this author would argue the opposite – low budget, inexperienced director, inexperienced cast, “real” locations, and consumer filming equipment are all necessary ingredients to make a brilliant found footage film.